On the 10th Day of Christmas….. I challenged myself to make two simple cards for this project. Both cards use only one stamp from the zen florals stamp set! You can make this same type of card with any small stamp and a sentiment die cut. The first card I stamped out the little leaf stamp all over the card base. I then colored using shades of green copic markers. It doesn’t matter what greens you choose your just going to want 3-4 markers that blend fairly well. I colored the entire panel with my lightest color. I wasn’t too careful because I really only needed to get the leaves. After that was done I took my darkest marker and outlined each of the leaves… this took a little time but I was watching a movie with the family so it went by quick. I went around the darkest line with the next lightest marker and then filled in any gaps with the marker slightly lighter than the last. Once the coloring was done I positioned the shadow die directly on my card base and cut it out. I adhered this piece to a heavyweight card base. I colored in some white cardstock with my matching copic marker and then die cut the “Thanks”. I glued that into the gap of the card base with some Ranger multi medium matte. I then went over the sentiment and leaves with a wink of stella clear glitter pen. I finished off the card with some sequins from the Fresh Lilac mix and some Nuvo Crystal drops. That’s it. Super simple and can be done with any stamp and die combo that you wish. For the next card I die cut a heart from some masking paper and placed this over a heavy weight card base. I Blended in some Spun Sugar distress ink to the inside of the heart and darkened the edges with Worn Lipstick Distress ink. I then stamped the little floral cluster stamp over and over to make a pattern inside the heart with some versamark ink. I sprinkled on some white embossing powder (you want to make sure the distress ink is VERY dry before this step) and I heat set it all. I colored in the flowers and leaves with a couple of Zig clean color real brush markers. I added some sequins from the Be Mine sequins mix and placed a few nuvo drops like I did with the other card. Once that was all dry I cut out the thanks shadow from some pink vellum that matched the spun sugar distress ink and I cut the “Thanks” from glossy white cardstock. I glued the two pieces together using the Ranger multi medium matte and then glued that to the card base. These were “Almost” one layer cards. 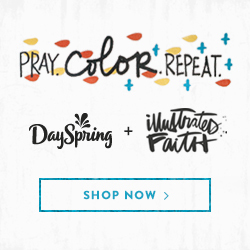 They are perfect for those who enjoy coloring! I could see making a note card set like this to give as a gift. I hope you enjoyed my cards. I am so thankful to Honey Bee Stamps for having me apart of this event and for YOU all as well! This has been an amazing year for Honey Bee Stamps! I hope you all have a very merry christmas and a blessed new year!